Let it take an example of a polygon. 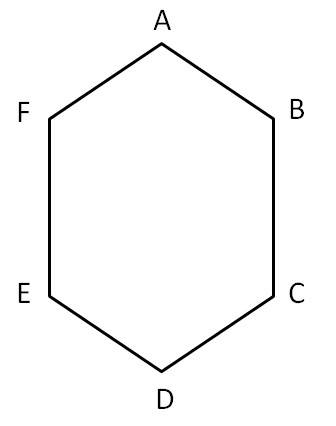 Here, points A, B, C, D, E, F, are the vertices of the polygon. 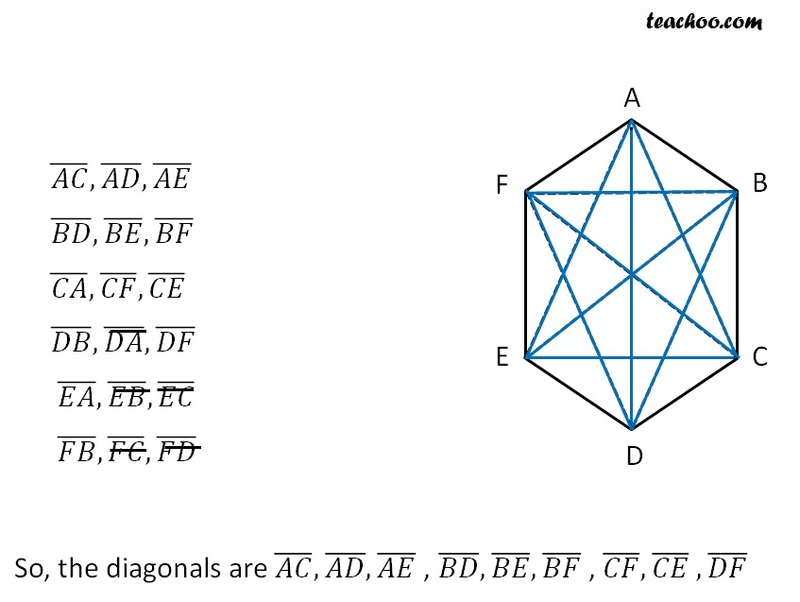 AB, BC, CD, DE, EF, FA are the vertices of the polygon. Diagonal is the line joining any two vertices which are not adjacent.